The cast of GOODNIGHT DESDEMONA (GOOD MORNING JULIET). Photo by LINDSEY WALTERS. 2017. J. C. Long and Sara J. Griffin in GOODNIGHT DESDEMONA (GOOD MORNING JULIET). Photo by LINDSEY WALTERS. 2017. Cordell Cole, Constance Swain, and Sara J. Griffin in GOODNIGHT DESDEMONA (GOOD MORNING JULIET). Photo by LINDSEY WALTERS. 2017. Constance Swain in GOODNIGHT DESDEMONA (GOOD MORNING JULIET). Photo by LINDSEY WALTERS. 2017. Sara J. Griffin and Josh Clark in GOODNIGHT DESDEMONA (GOOD MORNING JULIET). Photo by LINDSEY WALTERS. 2017. 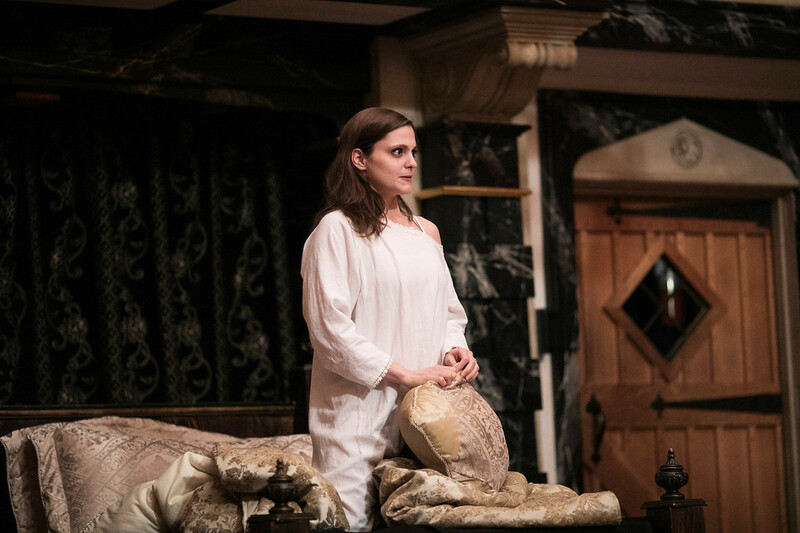 Zoe Speas in GOODNIGHT DESDEMONA (GOOD MORNING JULIET). Photo by LINDSEY WALTERS. 2017. Ronald Román-Meléndez in GOODNIGHT DESDEMONA (GOOD MORNING JULIET). Photo by LINDSEY WALTERS. 2017. Kyle Powell in GOODNIGHT DESDEMONA (GOOD MORNING JULIET). Photo by LINDSEY WALTERS. 2017. Scholar Constance Ledbelly works on her doctoral dissertation on Othello and Romeo and Juliet. She believes these works were originally written by an unknown author, a fact she can prove if she decodes a manuscript. Professor Claude Night, Constance’s longtime crush, enters her office, chides her for her dissertation, and tells her that he’s taken the job in Oxford that Constance had her heart set on. He leaves, and Constance begins to throw her possessions, including the manuscript, into the wastebasket. 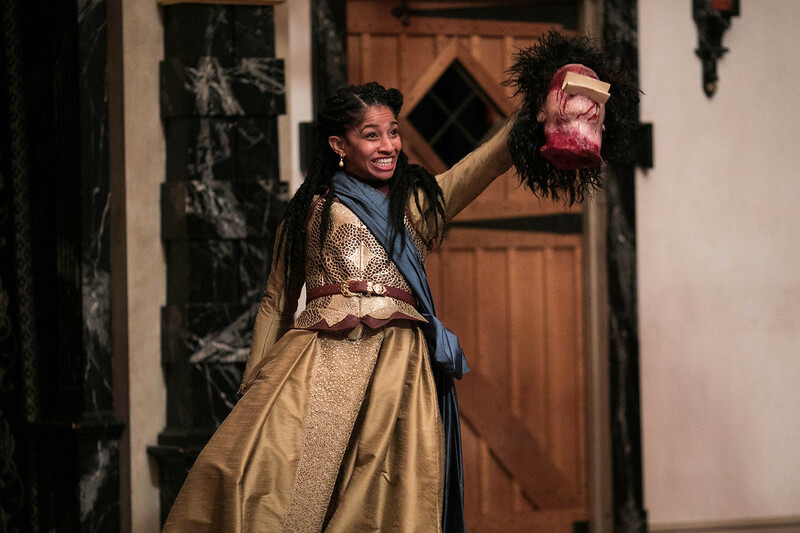 Constance is sucked into the wastebasket and transported straight into the action of Othello, where Othello resolves to kill Desdemona. Constance intervenes. 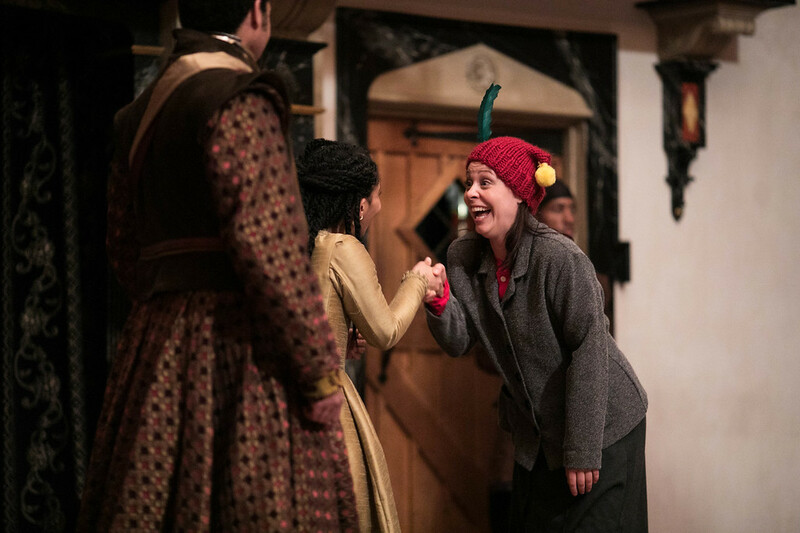 Constance resolves to find the character of the “Wise Fool,” who typically helps secure the happy end of a Shakespearean work. Iago works against Constance, turning Desdemona against her, claiming Constance seeks Othello’s love, and also pilfering a page of the manuscript. 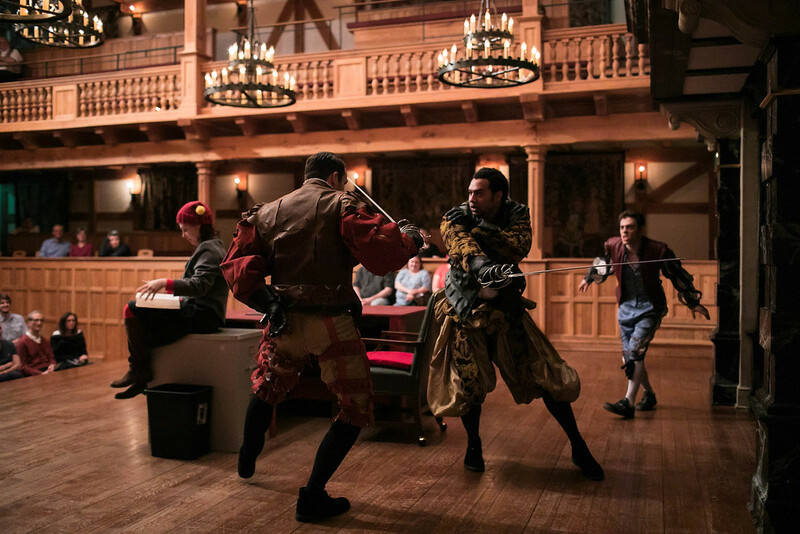 In the midst of a swordfight, Constance reads the manuscript page and is transported into Romeo and Juliet, just in time to prevent Romeo from killing Tybalt. Both Romeo and Juliet mistake Constance for a boy, and fall in love with her. A ghost, multiple murder attempts, gender-bending, and a turtle named Hector ensue. One of our goals at the ASC is to encourage playwrights to create new works for Shakespeare’s Staging Conditions. In February of 2017, we will mount the first professional production of Shakespeare’s Sister by Emma Whipday as part of our Actors’ Renaissance Season. We have even bigger aspirations on the horizon, but we are delighted to begin our journey down the road of going Back to the Future with new plays written for these four-hundred-year-old staging conditions that create an in-your-face dynamic with the lit audience joining the world of the play. As we work toward that goal of becoming the center for the next generation of classical plays designed to be performed in rep with Shakespeare’s plays, we are thrilled to present a modern play that not only thrives under our staging conditions, but also creates some contemporary magic with characters from Shakespeare’s plays. 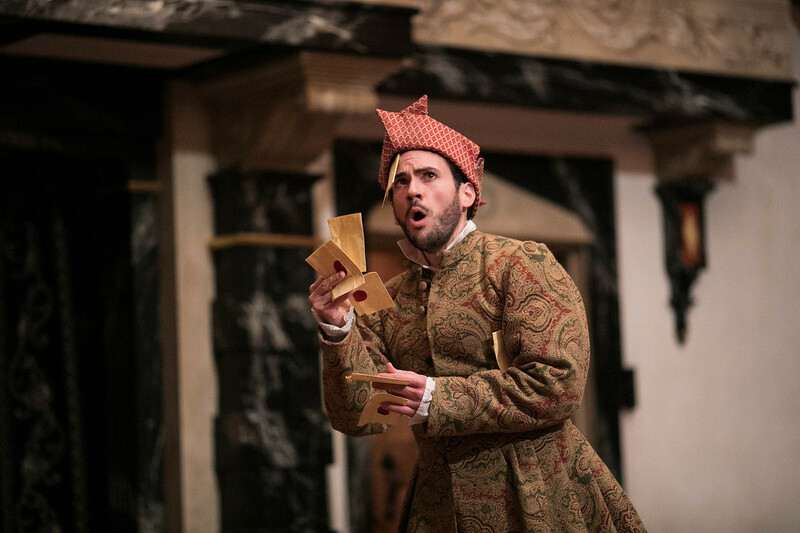 It takes us…into the fraught and furious worlds of two of Shakespeare’s best- known tragedies, and turns them upside-down. Her attempts to save first Desdemona, then Juliet, from their harrowing fates result in a wild unpredictable ride through comedy and near-tragedy, as mild-mannered Constance learns to love, sword-fight, dance Renaissance-style, and master a series of disguises… Goodnight Desdemona (Good Morning Juliet) is a gender-bendy, big-hearted and crazily intelligent romp, where irony and anger sing in perfect harmony with innocence and poignancy. While Goodnight Desdemona is not a brand new play, we think we will be the first theatre ever to do it using Shakespeare’s Staging Conditions and perform it in repertory with Romeo and Juliet AND have the same actors play the same characters who appear in both shows. 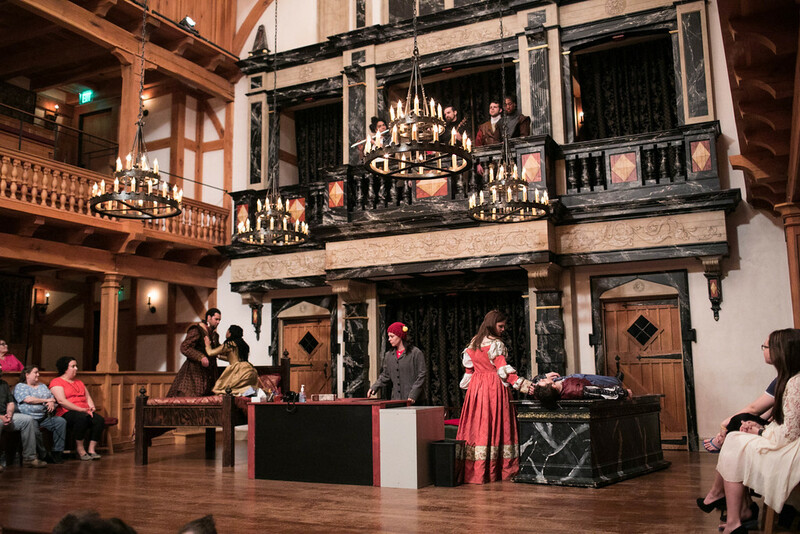 We did something similar in the ASC Blackfriars Playhouse 2015 Spring Season when we had the newish play Wittenberg by David Davalos in rep with Shakespeare’s Hamlet and Marlowe’s Doctor Faustus. 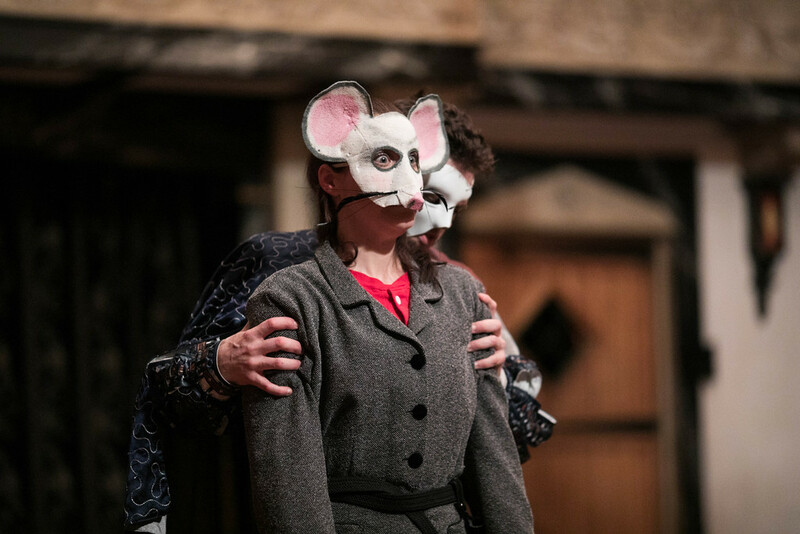 We have also done Hamlet in rep with Tom Stoppard’s Rosencrantz and Guildenstern Are Dead three times in the ASC’s 28-year history with the same actors playing the same characters in both productions. 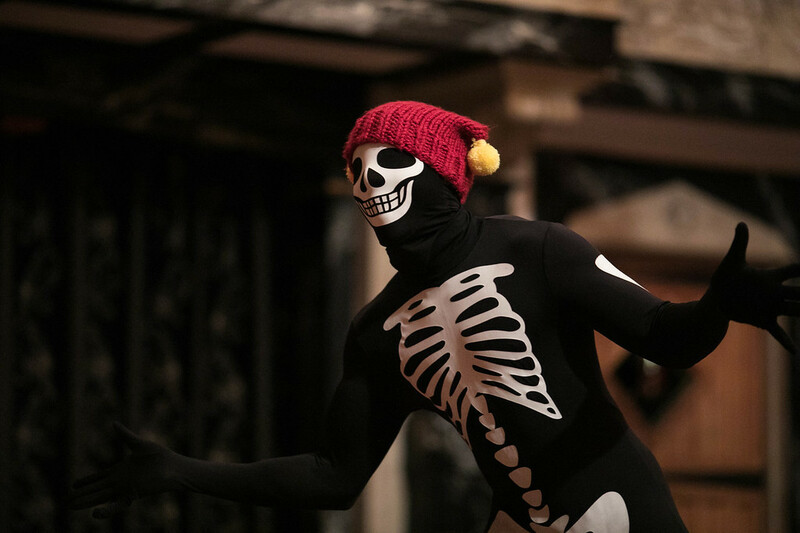 Doing plays in true rotating repertory – the same 11-12 actors appearing in 3-5 titles that change every night – is one of the lost joys of Shakespeare’s company that we are bringing back to delight modern audiences. 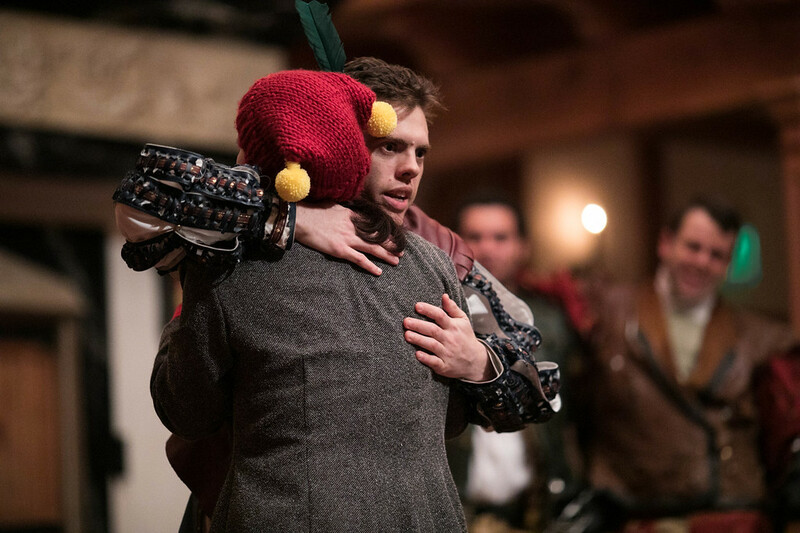 We up the ante and double the fun when we add modern plays that vibe off Shakespeare’s plays and when we cast the same actors to perform the same characters that appear in multiple shows. 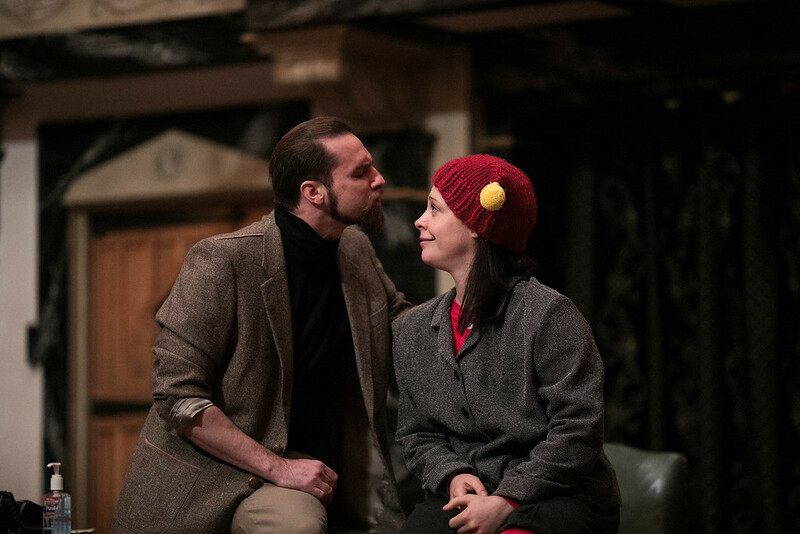 Come to the Blackfriars Playhouse in our Spring Season, and you can see all four of our shows from Friday night through the Sunday matinee. We hope you enjoy our production of Goodnight Desdemona (Good Morning Juliet). And be on the lookout for new plays written for the Blackfriars Playhouse and Shakespeare’s Staging Conditions.